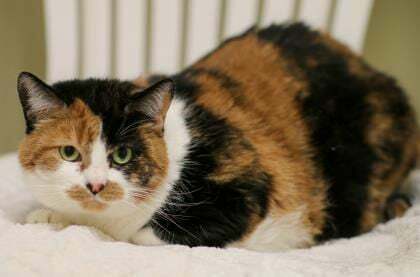 Patches is a 7-year-old domestic short-haired cat that was returned to the shelter when her owner sadly passed away. Older cats have immense love and willingness to give back, and Patches is no exception. This sweet-tempered kitty just needs a quiet friend with a lap she can curl up on. Patches is spayed and will be current on vaccines before going home. Rosie is a 1-year-old New Zealand mix who has been looking for her home for almost a year. Rosie loves large boxes and will amuse herself for hours with one. This delightful bunny is never picky about her salad and enjoys having her ears scratched while she munches on a variety of greens. Rosie will be spayed prior to going home. For more information, visit saukhumane.org or call the Sauk County Humane Society at 608-356-2520.